HOW TO MAKE CAR TRAVEL WITH YOUR DOG BETTER? Many dogs love car travel, but for some dogs, this can be quite stressful. If your dog is showing any of these signs, car rides can be a nightmare for both of you. 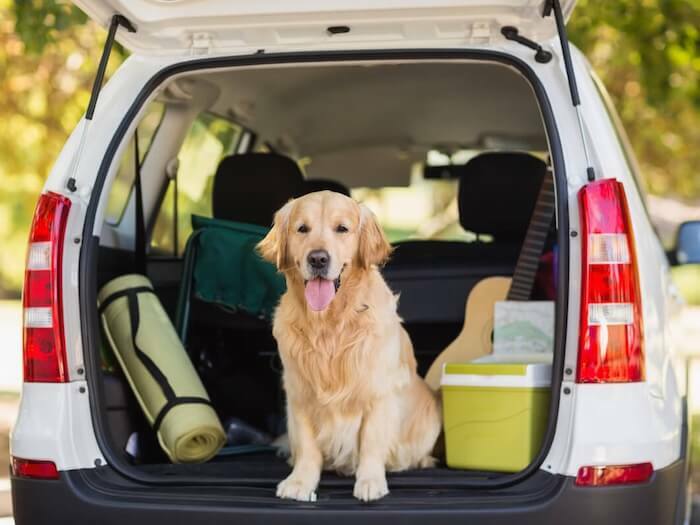 Fortunately, there are lots of things you can do to help your dog cope with car travel. These tips will help your dog to associate the car with positive things (like treats). Keep sessions short, allowing your dog to become comfortable with the car before travel. Then proceed to the next step: turning the engine on. Keep the car parked, don’t drive, and again use treats and praise. Once your dog is happy and calm in the car, start taking them on short trips. After each successful trip, you can progressively increase trip duration. Make sure that from time to time you also take a short trip. During this process, and for each journey, spray ADAPTIL Spray 15 minutes before departure. 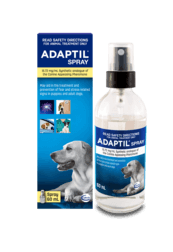 Using ADAPTIL Spray is clinically proven to reduce fear- and stress-related signs such as panting, agitation and restlessness during travel. Make sure you spray the car, the bedding, the crate or the carrier, but never apply directly to your dog. Always wait 15 minutes before introducing your dog to the sprayed area. To provide reassurance to your dog and also improve safety, use a travel cage or carrier. Alternatively, use a leash or a harness to attach to the car seat belt, to restrain your dog while driving. These will allow your dog to sit or lie down and also prevent them from moving around in the vehicle.